Chicago Alderman James Ambrose Kearns, AKA Weeping Jim Kearns. 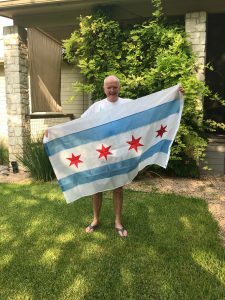 “The father of the Chicago flag”, James Ambrose Kearns, emigrated from, Inishscuttle, Kilmeena, Westport, County Mayo, Ireland in the late 19th century. 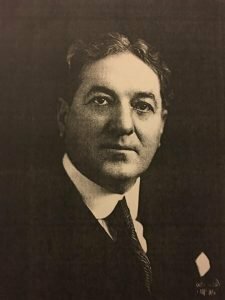 He emigrated to America in 1883 and became a lawyer in Chicago where he served as an Alderman, Clerk of the Municipal Court and City Treasurer (second highest ranking official in Chicago at the time). It wasn’t until 1915 that the city of Chicago’s lack of a flag became an issue. Ald. James A. Kearns, introduced a resolution calling for an official design. The City Council agreed with Kearns, who feared Chicago was lagging other major cities, and established the Chicago Municipal Flag Commission. Dennis Kearns of Austin, TX, grandson of Chicago Alderman Weeping Jim Kearns. Alderman Kearns’ grandson, Dennis A. Kearns, a longtime consultant and lobbyist for the Burlington Northern Santa Fe Railroad in Chicago and for the last twenty years in Austin, Texas, is a native of the south side of Chicago. 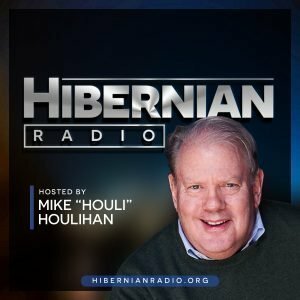 Mr. Kearns, an Irish citizen, and devotee of all things Hibernian, makes an annual pilgrimage to Eire with the very popular Irish radio program, The Skinny & Houli Show. 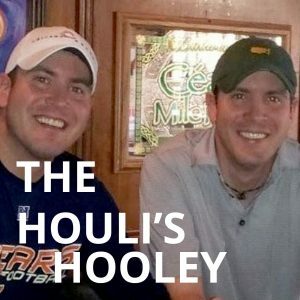 This year’s trip will take over 40 hearty souls back to Ireland with Skinny and Houli and Irish fiddler Katie Grennan as they visit Galway, The Aran Islands, Achill Island, Our Lady of Knock Shrine, Kilronan Castle, and Fitzpatrick Castle. The group is also scheduled for a two night stay in Westport, County Mayo.While in Westport, Kearns and his cohorts, radio co-hosts Skinny Sheahan and Mike Houlihan, and Irish American Heritage Center President Geno Cooney, will present dignitaries in Westport with a Chicago flag to celebrate the 100th year of the flag and honor the memory of Westport’s native son, “Weeping Jim” Kearns. The Cathaoirleach (Chairman) of the West Mayo Municipal District is Cllr Michael Holmes, who, along with his fellow County Councillors, is reportedly “delighted” to accept the flag from Mr. Kearns and work with his team of cultural attaches in furthering the vibrant relationship between Chicago and Westport that was started over a hundred years ago when Weeping Jim Kearns left Westport for the shores of Lake Michigan.